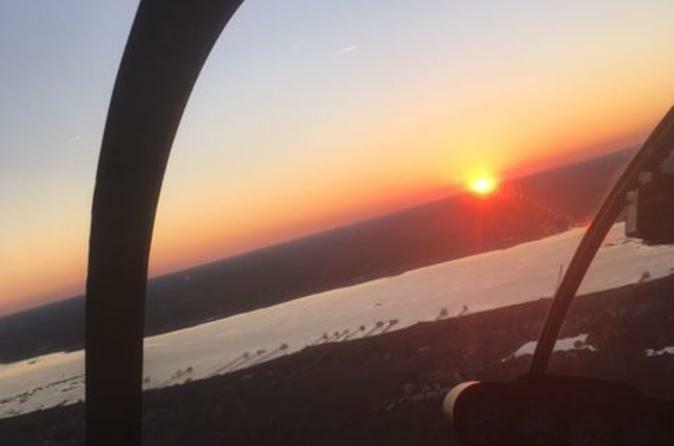 This 32-mile, sunset helicopter tour around St. Augustine begins at the Northeast Florida Regional Airport, four miles north of St. Augustine. Take off to to the east over Castle Otttis, an original landscape sculpture built in the form of an Irish castle from 1,000 years ago. Fly south over the beautiful villages of Vilano and part of the Intracoastal Waterway to North Beach and then along the coastline, past Porpoise Point and Anastasia State Park to the St. Augustine Beach Pier. 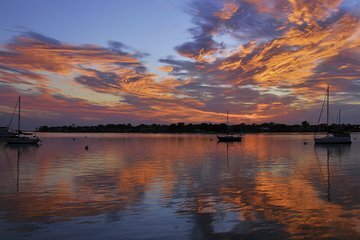 Then turn around and return just in time to enjoy a spectacular view of the sun as it sets over Old Downtown St. Augustine. This romantic sunset tour is a perfect way to propose or celebrate an anniversary or honeymoon with that special someone.